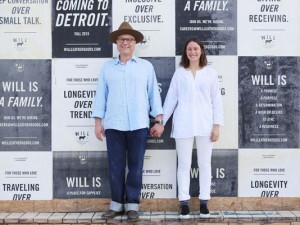 MPA is excited to be working with The Adlers on WILL LEATHER GOODS new store in Detroit! “The Adlers — two of this three children are now in the business too — opened their first Will Leather Goods retail store in Venice, Calif., in 2012, and have since opened six others in Portland and Eugene, Ore., San Francisco and New York. Total annual sales, including the retail, wholesale and Nike products, are about $40 million a year now and they employ about 200 people. Detroit, with a target opening date around Oct. 10, will be Will Leather Goods’ eighth store.